As Joni Mitchell, Cinderella (the band, not the Princess) and Monica told us ‘you don’t know what you’ve got till it’s gone’. 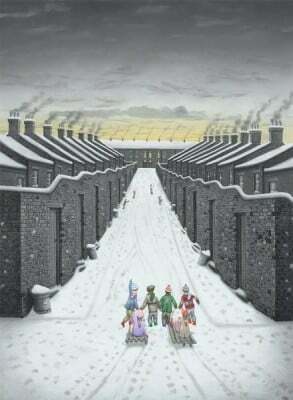 This was certainly the case for Leigh Lambert, the artist who didn’t truly understand the significance of his home town until he left it. Born and raised in Newcastle-Upon-Tyne, Leigh and his family moved to Warwick when he was 17. It was then he truly began to appreciate the nature of his upbringing; he felt a deep pride for the place where he, his parents and grandparents had grown up. “When I was living there I just saw it as this grey, concrete jungle,” says Lambert. However the stories he was told about life on Tyneside, along with his experience of growing up there, inspired his paintings. The streets we see in his works are the streets of his childhood, depicted in a quirky and often humorous way. From the Gateshead terrace owned by his mum’s dad William “Mickey” Curran to the the East Newcastle house of his father’s dad Harry Lambert, built for the workers of the local armaments factory. Dealing mainly in city landscapes, Lambert’s pieces have a strong sense of nostalgia, evoking fond memories of a youth that many can relate to. 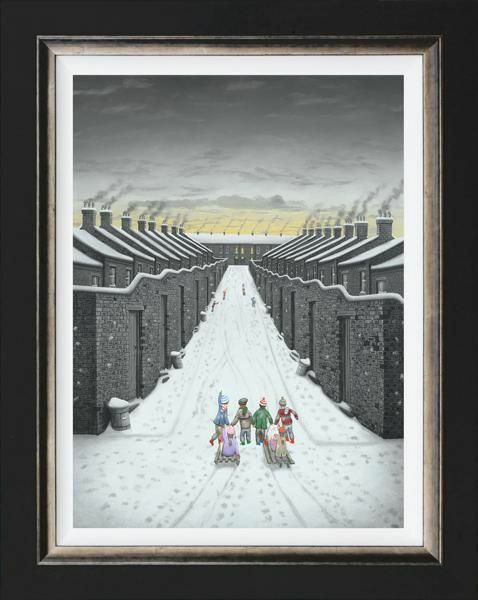 Leigh is known for creating pieces with intricate, fascinating detail and bleak adult landscapes which contrast sharply with the vivid colours used for the children and their innocent pastimes. And his new winter limited edition pieces do not disappoint. 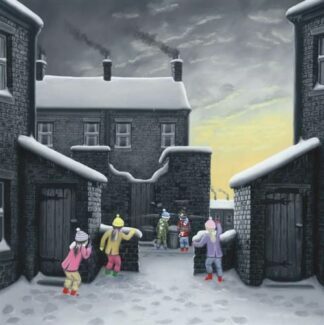 ‘Home James’ shows children sledging down a snow-covered street in Newcastle, surrounded by brightly lit windows and smoking chimneys. 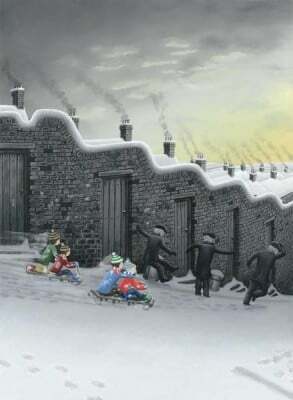 ‘Here They Come Again’ also shows a scene of multi-coloured children sledging, against dark, smoky backdrops of terraced houses, but this time with adults hurrying to get out of the way. Both special winter limited editions are available on canvas and paper, in editions of 75 copies each. They are both 31cm x 23cm in size (image only). Leigh began drawing from an early age and his attention to detail in his drawings and paintings, one of the characteristics that makes his work so distinctive, quickly became apparent. As he progressed through school these exceptionally detailed creations captured the attentions of his teachers, who admired his “canny knack” for capturing a view, and of enabling his colourful characters to bring these scenes to life with a sense of humour and sheer childlike joy. 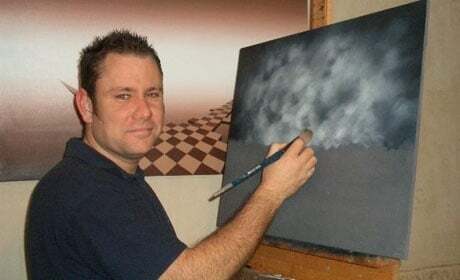 While Leigh studied art at Tynemouth College of Arts and Technology in the North East of England for a short time, and later at Mid Warwickshire College in Leamington-Spa for a brief period, he considers himself a self-taught artist, and left with no formal art qualifications. Still in Warwick, Leigh works from his garden studio (though he’d love a large studio with plenty of natural light, situated somewhere like the Northumberland coast, Lake District or the North Pennines). He’s an avid Newcastle United fan, and when he goes back to the North East always takes a walk to the Quayside, liking to stand on the Millennium Bridge and admire the view of the Tyne Bridge and the bridges beyond. 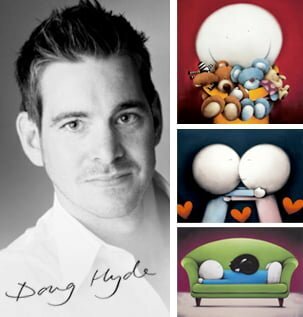 He’s achieved great success in recent years, and was shortlisted as ‘Best Up and Coming Artist’ in the prestigious Fine Art Trade Guild Awards in 2014. There is now a waitlist for his highly sought after originals, and new editions are often oversubscribed within weeks of publication. His artwork has been displayed in galleries and Art shows around Central & Northern England. Leigh has also undertaken works of art for private collections in various countries overseas.